Banten is one area that has many beaches as tourism potential. We all know about Anyer, Carita, Sawarna, and Bayah. However, there is still one more beach tourism destinations in Banten, which way more beautiful; Tanjung Lesung. Tanjung Lesung is located in the village of Tanjung Jaya, Panimbang District, Pandeglang, Banten. This beach called Tanjung Lesung because the location is jutting into the sea so that its shape is very similar to the end of the dimples. As in Sundanese, the mortar is identical with the grooves or dimples on the cheeks, the shape is also in accordance with the indented coastline. Tanjung Lesung is having natural and beautiful panorama. The stretch of white sand and coral adorn various forms of basic waters. The sloping sand beaches provide space for both to play in the sand, sunbathing, playing football and beach volleyball, and so forth. 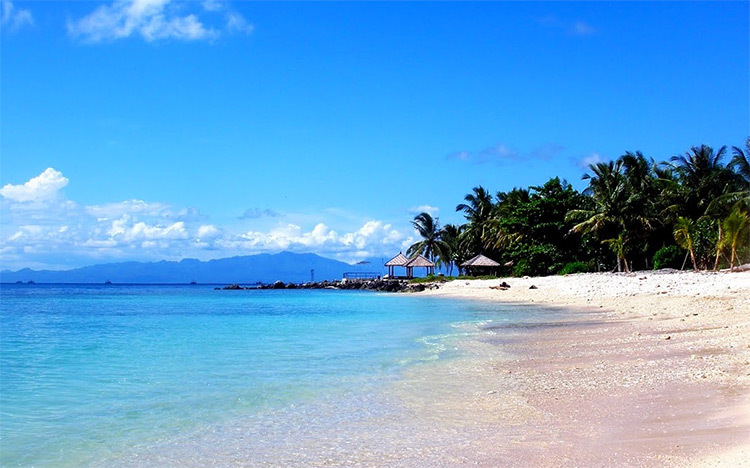 Tanjung Lesung is a beach with white clean sandy beach, and having crystal clear sea water which beautiful well maintain. If you are from Jakarta, Tanjung Lesung able to achieved through two alternative routes. First, take the route Jakarta-Merak toll road, then exit through the toll gate Eastern Serang. After passing Serang, proceed to the City of Pandeglang and Labuan. Then the journey will end in Tanjung Lesung. For the second route, you can take the route from Jakarta-Merak toll road, then exit through the toll gates Cilegon. Then, proceed to the coast along the Anyer-Carita. Next, continue to the Labuan and ended up in Tanjung Lesung. Between Tanjung Lesung to Jakarta is about 160 km with a travel time for about 2.5 to 3 hours. You can go with private vehicle or take a public transportation. Make sure you enjoy the sightseeing while you taking the journey. It’s beautiful.